When I heard that Yggdrasil released a slots with a fish theme my initial thought was it might not appeal to seasoned players. Slots with cartoon themes are practically as old as the hills and they tend to become boorish after a while. Well, to be honest I was a bit quick maybe harsh to judge Golden Fish Tank. On all accounts this is a great game it’s teeming with a quartet of brightly coloured fish, card symbols and wilds that virtually pop up on every spin. 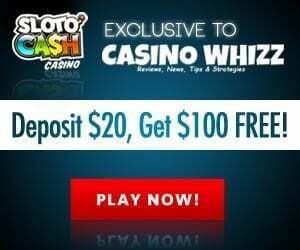 It even threw in a couple of extra treats such as Sticky Wilds, scatters, free spins and 2x multipliers that pays well. Hooked yet? 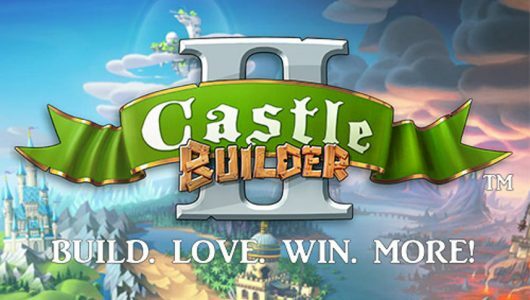 The game was released on February 2016. The 3D slots plays with 20 paylines and 5 reels. 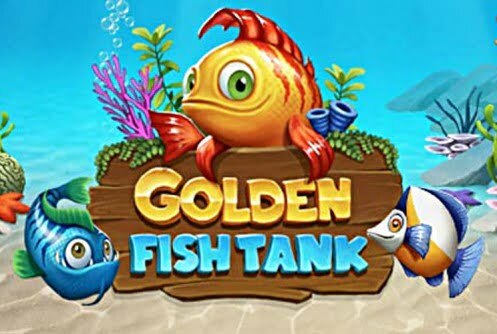 Golden Fish Tank comes with a serene underwater theme where the backdrop of the game is the majestic ocean. It offers an average return to player (RTP) payout percentage of 95.6% during the main game and during the ‘Golden Bet’ mode it pays out 96.5%. The total non-progressive jackpot win is £50,000. The sounds and animations are soothing which further enhances the ambience of the slots. The game can be played on the latest smartphone devices (Androids, iPhones, iPad and tablets) and desktops. The coin value is 0.01 up to 5.00. Bets can be made from £0.20 up to £100. An interesting feature is the ‘The Golden Bet’ which offers 1 free spins feature per pick. It’s activated when you click on the ‘+5’ button just above the ‘Max Bet’. When a combination of high paying symbols appear on an active payline the cash prize can be as high as 250x your stake. 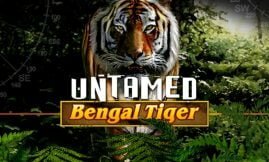 Wild: All the other symbols are replaced by the wild symbol except the Free Spins. I just want to point out that the wild appears quite often. More than any other slots I’ve played. 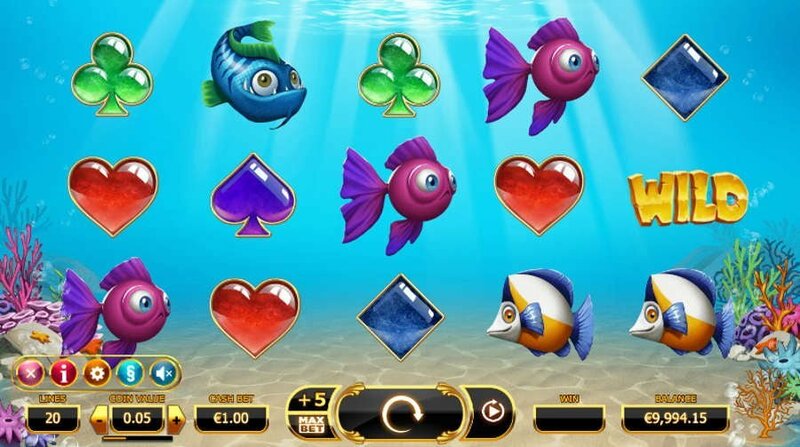 Free Spins: Before the free spins game begins, a treasure cove screen opens up. You’ll see a trinket of treasures spread out across the ocean floor. To spice up your game play during the free spins you must pick a feature. When three or more free spin icons appear any place across the reels the Free Spins bonus game is triggered. 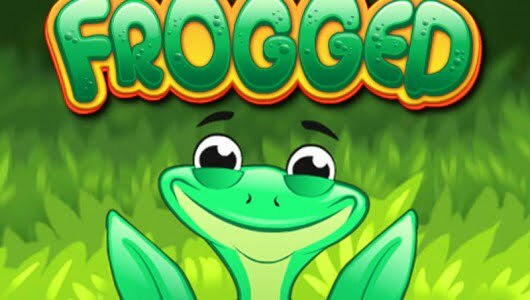 When 3 of them appear you’ll receive 6 free spins, for 4 of them you’ll get 8 free spins and 5 awards 10 free spins. The amount of features you picked depends on the free spins triggered. Expect 3 to 5 features at a time. You can pick 3 when 3 free spin icons are triggered. When 4 scatters appear you can pick 4. If 5 appear you can pick 5 picks. An extra two to four free spins are awarded when you play with another coin. On every free spin one of the fish becomes a stacked wild. On each free spin one or two random wilds are added to the reels. Therefore, all free spin wins comes with a multiplier of 2x. When one of the fish symbols pops up it becomes a wild. It remains locked on the reels for the duration of the entire feature. Kudos to Yggdrasil for pulling off Golden Fish Tank. Initially I thought it to be a bit tacky but it turns out to be a sublime game. The animations are a visual treat further complimented by bubbles popping up after each spin. In terms of technical improvements the game receives the thumbs up from me. The spin-speed can be adjusted plus the Auto Play setting decreases your coin denomination by an X amount. Suffice it to say the improvements are top of the deck. With all the bonus features flying about this is one profitable slots. Just be careful for the Golden Bet feature, it can be a bit of a money snatcher.